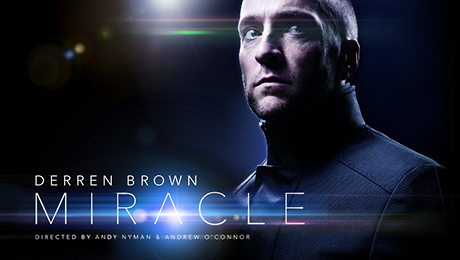 Derren Brown is currently performing his new show ‘Miracle’ in London’s West End. We went to see it last week and it was incredible! The master of mind control, get your tickets now!! Playing at the Palace Theatre until 16 January 2016, followed by a UK tour. Full tour dates here. 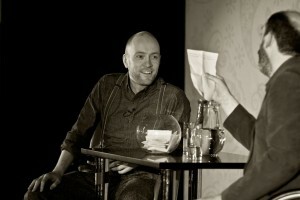 The show is co-written and directed by Andy Nyman & Andrew O’Connor. 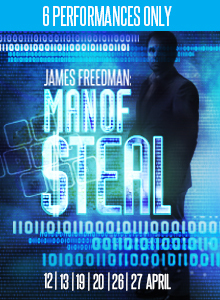 It has been announced that James Freedman is bringing his show Man of Steal to the Menier Chocolate Factory for six nights between 12th and 27th April 2015. Man of Steal is directed and co-written by Edward Hilsum the founder of production company Love Variety. One of the things about being a professional magician is that you understand how most illusions work. So that feeling of astonishment doesn’t happen to us very often. It’s the price we pay for doing what we do. However, last week master magician Dynamo more than made up for that. We were lucky enough to witness his astonishing presentation to launch the new FIAT 500X at the Copper Box venue in London’s Olympic Park. In front of a specially invited audience of over 1,000 people, Dynamo conjured a hundred floating lights before forming them into a three-dimensional blueprint of the new car whilst he sat inside. Then with no boxes, banners or other covers, he transformed the blueprint into a real car which he then drove off stage. Congratulations to Dynamo, Dan, Paul, Tim, Harry and the whole team. You have raised the bar. We’re all incredibly excited to learn that Luke Jermay is taking his Sixth Sense show on tour, starting next month. “Luke Jermay is the most incredible man you’ve probably never heard of. He can read your mind. No really; he can read your mind. He doesn’t use mind games or psychological tricks; there are no smoke and mirrors. He can simply read your mind. Jermay’s Sixth Sense has gained critical acclaim with five star reviews from Edinburgh to London’s West End. 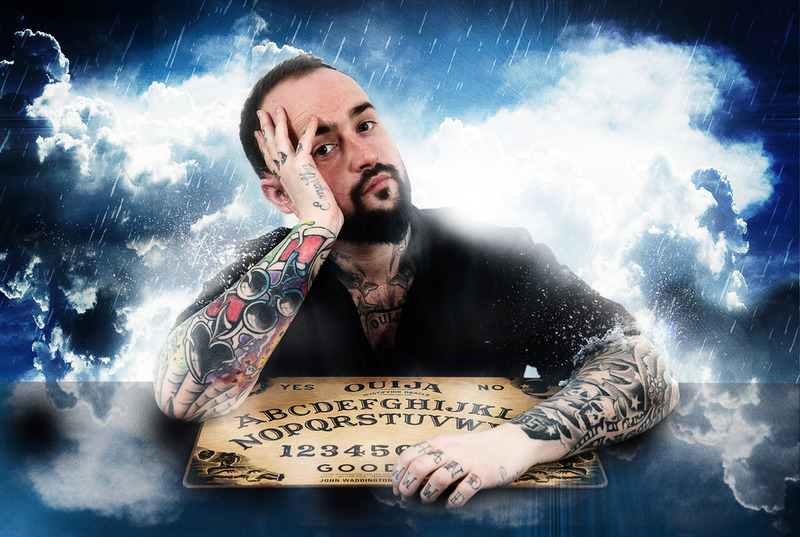 You’ll be amazed at his incredible powers; he knows your past, present and future, sometimes better than you do and you don’t need to be a mindreader to know that this tour will be a sell-out success. 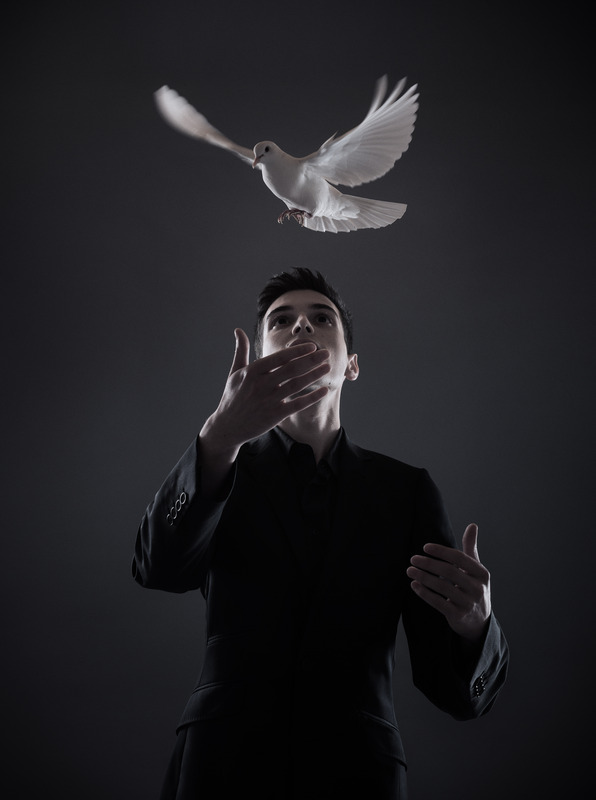 Congratulations to Magic Circle magician Edward Hilsum who aged just 22, has been voted the Stage Magician of the Year 2014. The prestigious award by the International Brotherhood of Magicians, is the result of a closely fought annual competition. Edward is currently starring in ‘Champions of Magic’, the UK’s largest live magic show which is touring theatres in the UK in 2014 & 2015. To celebrate Edward’s success, we’re offering a £100 discount for any booking confirmed before 24 March 2015. You must quote REALCHAMPION when making your booking. 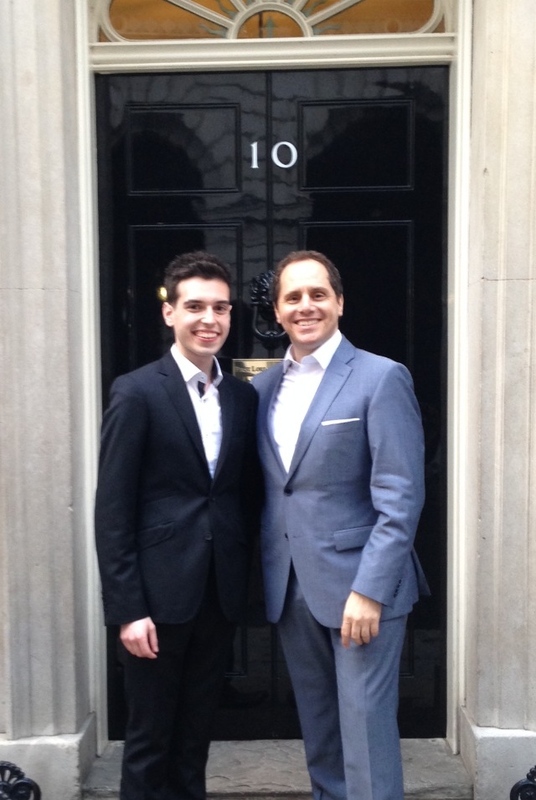 James Freedman and Edward Hilsum (pictured) were pleased to entertain at 10 Downing Street on Tuesday to help the charity U Support which provides opportunities for children suffering with a disability, hardship or illness. Founded by Adam and Tracey Gregory, U Support provides life changing experiences by helping disabled and disadvantaged children to attend sporting and cultural events with their carers. The reception, to launch the charity’s ‘Opening Doors Campaign’ was generously hosted by Samantha Cameron and the door of Number 10 seemed like a very good place to start. 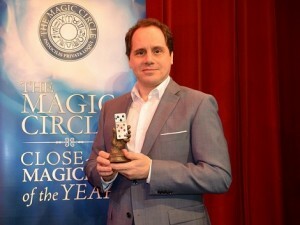 On Monday night, The Magic Circle staged the finals of its annual competition to find the Close-Up Magician of the Year. Eight of the club’s top magicians performed sleight of hand illusions for a specially invited audience at The Magic Circle Headquarters. The President of the Magic Circle, Jack Delvin said, “To win this competition requires outstanding technical ability, sleight of hand, performance skills and a strong personality. James rose to the top across all these criteria.” This is the second time that James has won this award. A delighted James said, “I was amazed by some of my fellow performers tonight and am thrilled to have won this very coveted trophy and the prestigious title ‘The Magic Circle Close-Up Magician of the Year 2014′. 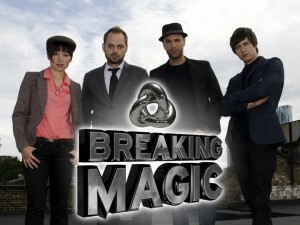 It’s our pleasure to announce that Discovery Science has aired a reshowing of Breaking Magic on Saturday 25th January 2014. A show that entwines the principals of science and magic to showcase a host of educationally mesmerising performances! Breaking Magic follows four innovative magicians across London, New York and Warsaw as they explain the scientific reality behind some of their most jaw dropping illusions. Stay tuned for more magic related news! 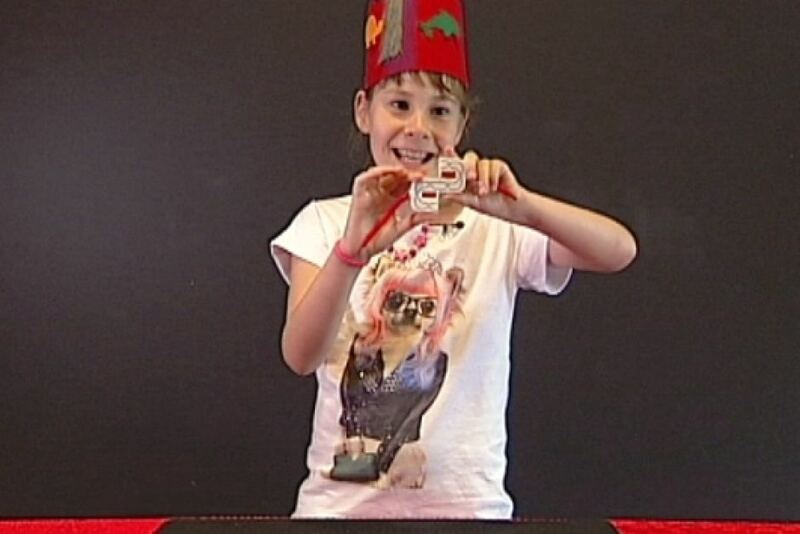 The first Breathe Magic Camp in Sydney Australia was a big success. Here’s the video report from ABC News. The Breathe Magic programme of adapted magic tricks is a very effective rehabilitation tool for people who have conditions such as hemiplegia, or have had a stroke or brain injury. The repetitive action of practicing these tricks helps build up strength and dexterity, and consequently increases independence. Plus the performance skills taught as part of the magical learning experience, increase the participants’ communication skills, confidence, self-esteem and emotional wellbeing. And remember when you call our bookings team and mention Breathe Arts Health Research, we’ll donate £50 of the booking fee straight to the charity.